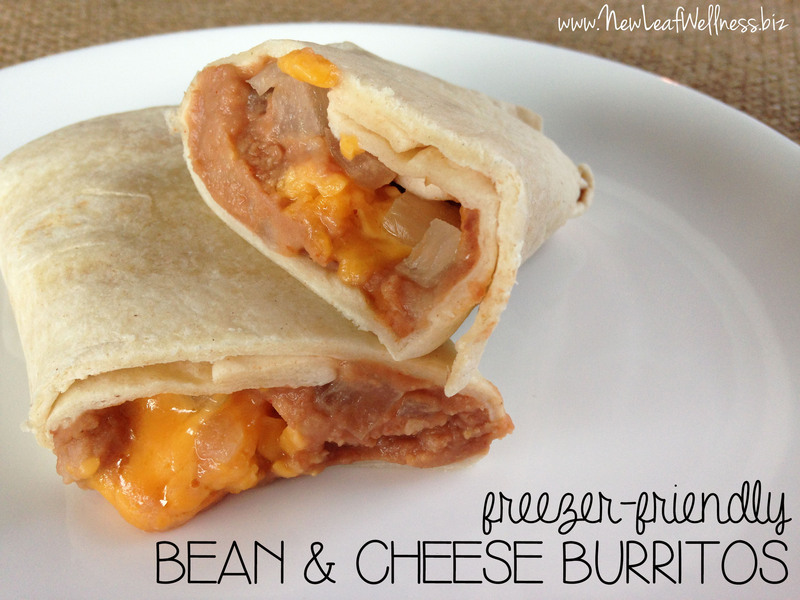 You are going to love this recipe for “freezer-friendly” bean and cheese burritos. They don’t require any cooking before freezing so prep work is a breeze with very little clean-up. And you end up with a freezer stocked with individually-wrapped bean and cheese burritos that you can grab anytime you need a quick lunch or dinner! If I ever write another ‘15-Minute Freezer Recipes‘ Cookbook full of recipes that don’t require any cooking before freezing, you can bet these bean and cheese burritos will be inside. They’re perfect for on-the-go. Since each burrito is wrapped in a tortilla shell, you won’t make a mess eating in the car or at your desk. Each bean and cheese burrito is individually-wrapped with waxed paper and foil so you can defrost one at a time. These bean and cheese burritos are the perfect quick meal. Each burrito re-heats in two minutes in the microwave. The addition of onions to the bean and cheese burrito filling adds the perfect amount of crunch. YUM. Oh, and did I mention they’re delicious? Cut eight 12×12″ pieces of wax paper and foil. Set up an assembly line with each piece of foil topped with a piece of waxed paper and a tortilla. Top each tortilla with 1/3 cup refried beans, 2 tablespoons cheddar cheese, and 2 tablespoons onions. 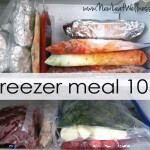 Place all wrapped burritos into a gallon-sized plastic freezer bag and freeze for up to 3 months in a standard freezer. Remove individual burrito from foil and wax paper and wrap in a paper towel. Microwave for 2 minutes or until filling is heated through. Just be sure to have a mint or toothbrush on-hand after eating. I hate onion breath. 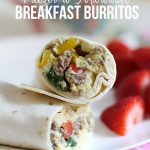 If you love burritos as much as my family does, check out my husband’s favorite freezer-to-microwave breakfast burritos with egg, sausage, spinach, and cheese too. He eats them so fast I can barely keep up! 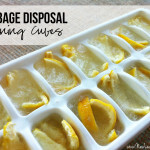 Question: Is there anything that you buy frozen at the grocery store that you wish you could make and freeze yourself? These are awesome! I add brown rice, baby spinach leaves and diced roma tomatoes to make them more of a meal. Thanks for sharing these! Sounds delicious! Thanks for sharing, Lisa! 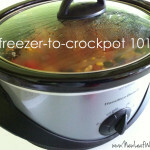 Frugal Friday: Filling the Freezer for Post Baby, Part 2 | Keep on Swimming. . . I like to make my own version of “refried” beans: 2 cans of pinto or black beans (drained), approx. 3/4-1 cup of salsa and my own taco seasoning. I place all of the ingredients in a food processor and blend until desired consistency. Me and my family of boys prefer these to the canned refried beans. I am looking forward to trying this recipe for the burritos since my boys LOVE bean and cheese burritos! Thanks for sharing, Renee! Your recipe sounds delicious. I just got engaged and I am very new to this whole freezer meal…cooking….being domestic part of life. My mother-in-law just bought me a Crockpot for Christmas and I am completely obsessed with freezer meals. Your website and recipes have been a game changer for me since me and my fiance both work full time and go to school full time. So thank you and I look forward to trying these burritos.